Arrested billionaire kidnapper, Chukwudubem Onwuamadike, aka Evans, has given reasons he did not operate in South-West states apart from Lagos. Evans also said he never committed any crime in his home state, Anambra but only collected ransom there. He listed Lagos, Abia, Enugu, and Edo states as his main operational base. 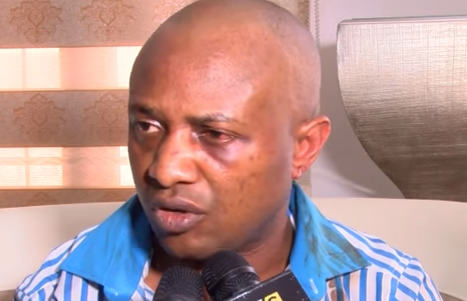 Evans denied that he met any of his victims on social media, while insisting that his wife, Uchenna did not collect ransom for him in any occasion. He told New Telegraph, “Police tracking located me in Anambra State, but it was not because I committed robbery or even kidnapped anyone there. When challenged that he once carried out simultaneous robbery operations in Oyo State in 2010, where three banks were raided, he denied, saying “No! I have never operated in any Yoruba state, let alone Oyo State. “I have never operated there; Lagos is my state. I mostly operated from Lagos. “Moreover, I also didn’t like operating in Yoruba states because I don’t know my way around there. I don’t know the terrains. “It is not right to go where you don’t know, except you have someone that can lead you.